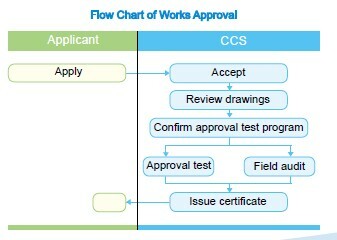 Works approval refers to the approval of the manufacturer’s conditions and capability for producing certain type of product, which is granted by the Society based on document review, approval test and field audit. Such as steel plates. Certificate of works approval will be issued after CCS approval. For more details please contact the department of our head office as follows or CCS local office in your area which can be found from CCS directory.